Watch Presenations from 2017 Brandt Field Day including Ray Archuleta, Buz Kloot, Rick Haney, Gabe Brown, Dave Brandt, & Keith Dennis. King City, Mo., no-tiller Ron Willis discusses changes his family’s made to their 12-row Kinze 3600 split-row planter, including adding Furrow Cruiser closing wheels from Copperhead Ag, to better handle planting corn and soybeans green in spring. 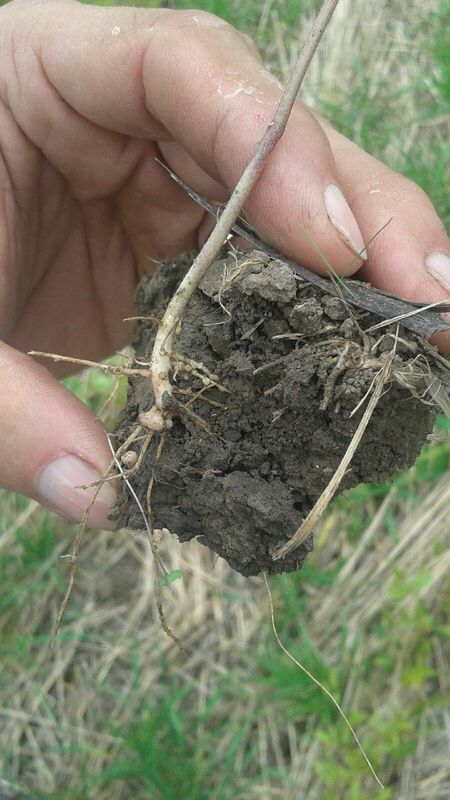 Here are some pictures of cover crops in Lafayette County, MO. Here is a mix that worked well in Cooper County, MO no-till drilled 1" deep during the end of August 2015. It was really dry here and not much of a chance of rain which is why it was seeded at 1" deep trying to find some moisture. This was 80 acres seeded to a mix of 11 lbs. Sudangrass, 2 lbs. Radishes, 3 lbs. Crimson Clover, 3 lbs. Pearl Millet, 3 lbs. Cow Peas per acre. There have been 60 cows and bred heifers grazing on this from the end of September until the end of December. Next time will probably use a mix of Cereal Rye about 40 lbs./ac and Ryegrass about 10 lbs./ac instead of the Sudex to eliminate the possibility of prussic acid poisoning. This field will be planted to Corn in 2016. Philanthropist and corn/soybean farmer Howard Buffett shifts his focus to soil conservation.